Ever since the UK parliament released its long-awaited Chilcot report on the Iraq war in the first week of this month, there have again been heated discussions about the then Prime Minister Tony Blair’s calamitous decision to support US President George W. Bush in his 2003 misadventure. 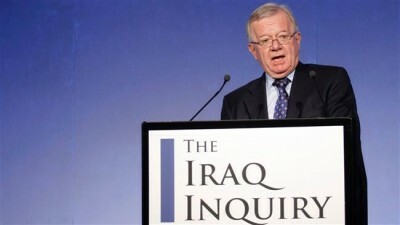 Sir John Chilcot’s 12-volume, 2.6 million-word report explores every detail of the processes and decisions that led to a military folly for which the entire Middle East continues to pay a terrible price. But intriguingly in America, the report has not evoked interest on a scale the biggest foreign policy disaster of the last quarter century merits. Of course, Senate’s intelligence committee looked into the intelligence failures in the run-up to the Iraq war and its report was released in 2008. The Democratic-led committee faulted the Central Intelligence Agency (CIA) for massive intelligence failures and the Bush administration for purposefully manipulating intelligence for public consumption. That is all. This is all the more puzzling when we know that there were as many as 10 investigations into the attack on the US mission in Benghazi, Libya in 2012 that killed four Americans including US ambassador. Bush went to Iraq to destroy Saddam Hussein’s weapons of mass destruction (WMD). Everybody now knows that everybody in the administration, including Bush knew Saddam had none. If regime change was the real aim, who ordered the disbandment of the Iraqi Army and “de-Baathification” which threw Iraq and the entire region into turmoil? Who drew the best-case scenario in which grateful Iraqis would welcome Anglo-American troops with rose petals? Who should be held responsible if the planning for the aftermath of the invasion turned out to be “wholly inadequate”? With the result that no US politician or senior-level official has suffered punishment for his or her support for the Iraq war or their involvement in the decision that led to the war or in its execution. Both political parties, Republicans and Democrats, have nominated people who supported the 2003 invasion. Nothing surprising when you remember that Hillary Clinton who supported the war was Obama’s first secretary of state. Her replacement, John Kerry, while contesting against Bush in the 2004 presidential election, said he would have supported the war even if he knew that Saddam had no weapons of mass destruction. This leads one to conclude that with few exceptions Democrats were with Bush on the issue of war. The same can be said of the US media. With few honorable exceptions, they served as the echo chambers of an administration that was determined to replace Saddam and was doing everything in its power to influence public opinion in favor of the invasion. After the publication of the Chilcot report, there have been renewed calls all over Britain to try Blair for war crimes. It’s unlikely that anything will ever actually happen to Blair or any of the other architects of the war in the UK despite the report’s damning strictures. But the British public knows that the decision to invade Iraq was wrong and led to the presence of Al-Qaeda in that Arab country and later contributed hugely to the creation of Daesh (the so-called IS), which is now creating mayhem throughout the region and beyond it. Will the American public ever get a chance to know who was responsible for or behind a war that continues to kill innocent people in hundreds and led to the largest exodus of people in the Arab world after the creation of Israel?